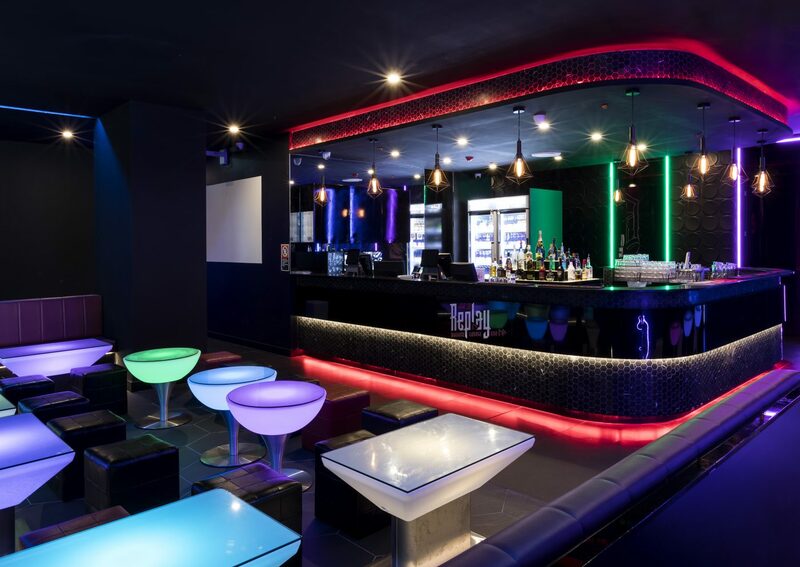 Located on Level 1 of Little Saigon Plaza, Replay Karaoke Lounge Bar features an open bar and 12 spacious private karaoke rooms to cater for all groups. 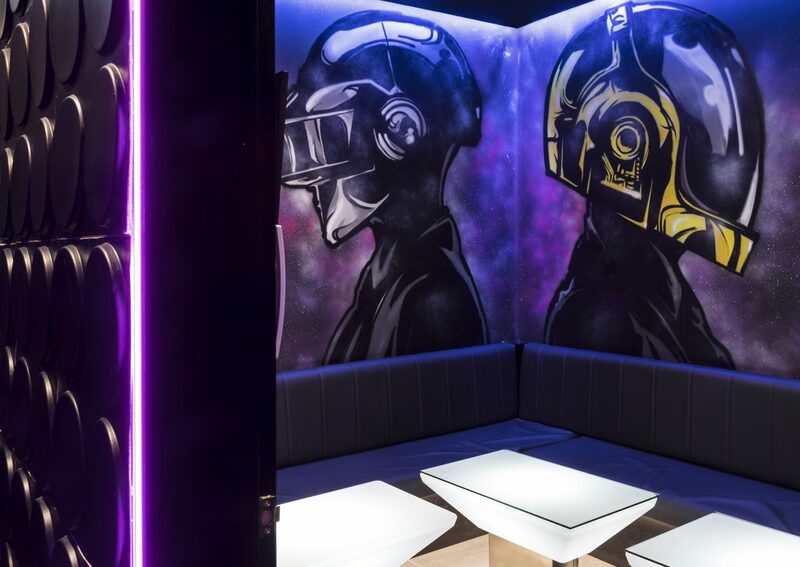 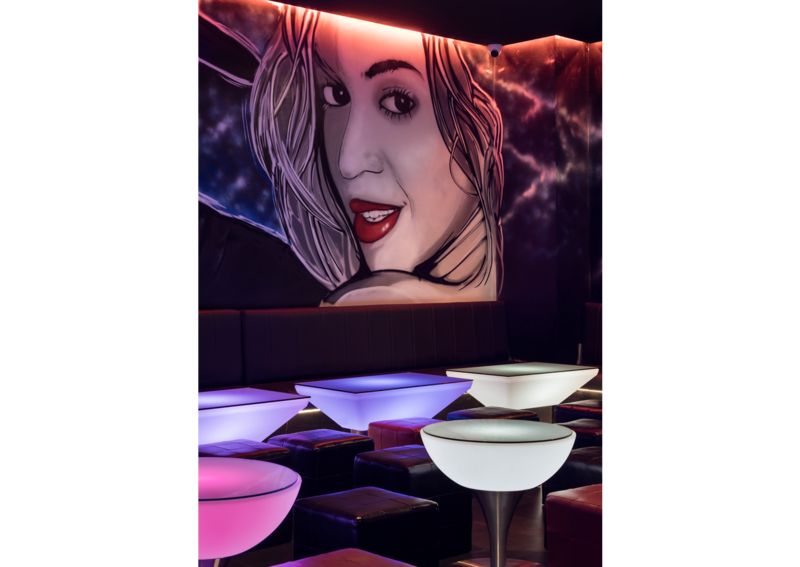 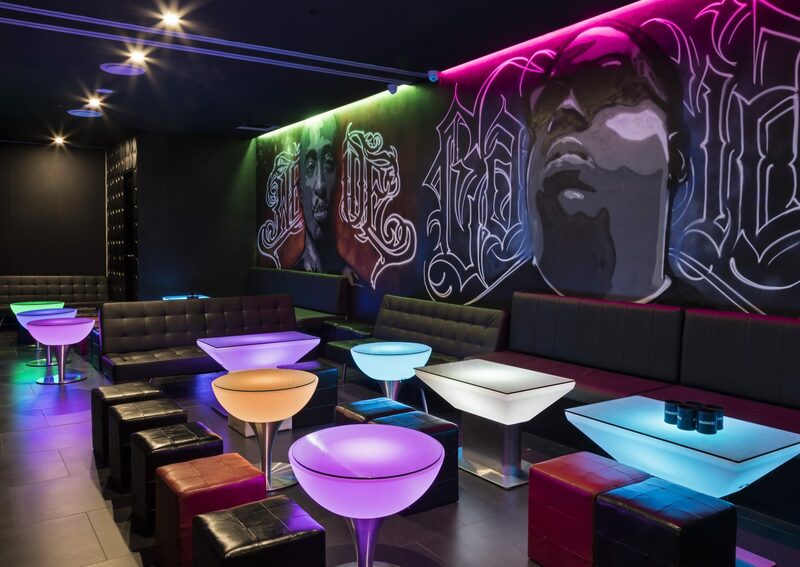 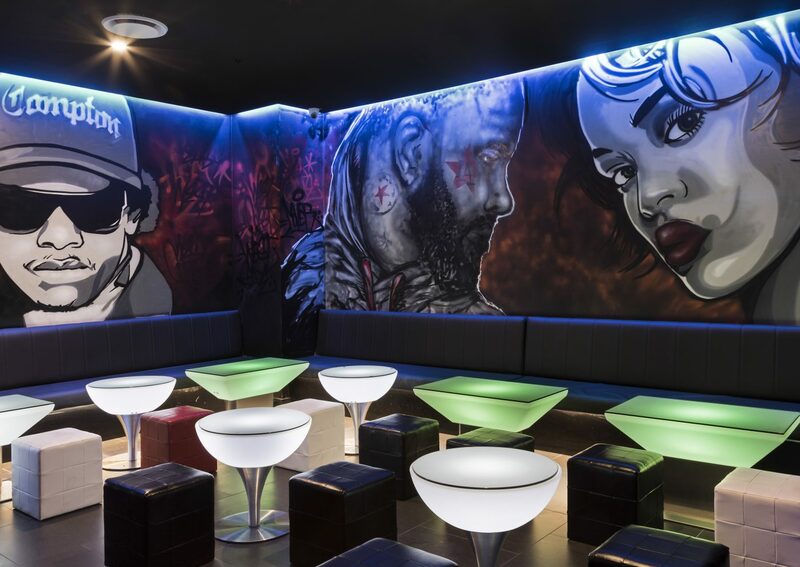 The use of different coloured lights and graffiti art sets the mood and vibe of the interior. 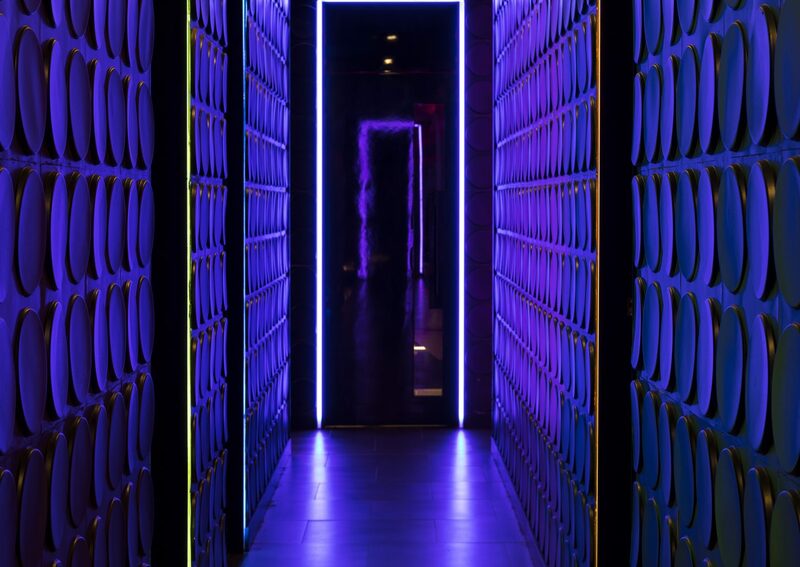 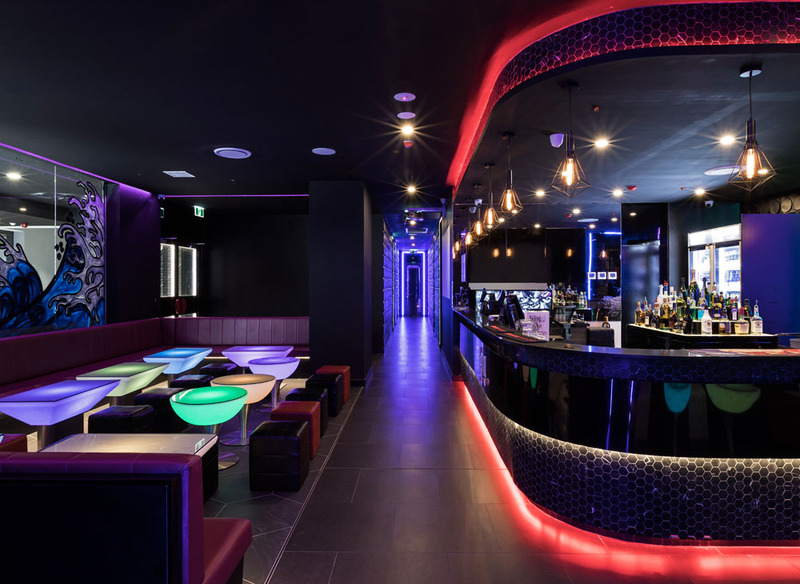 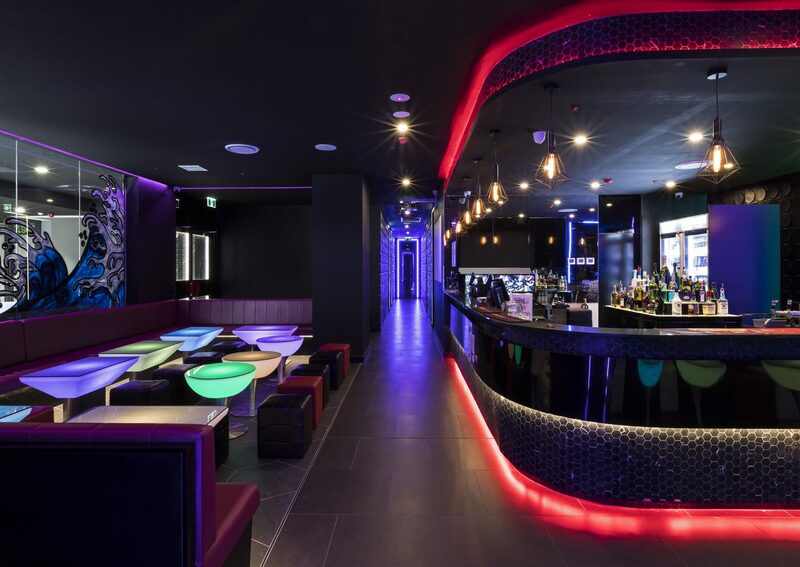 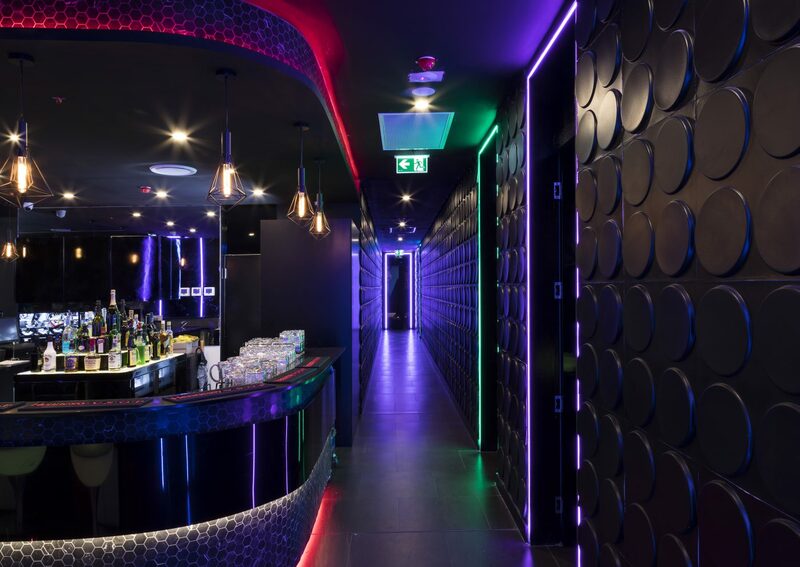 Neon lights around each doorway creates a mysterious entry, whilst the use of striking graphics of artists reinforces the business’ nature of a karaoke bar. 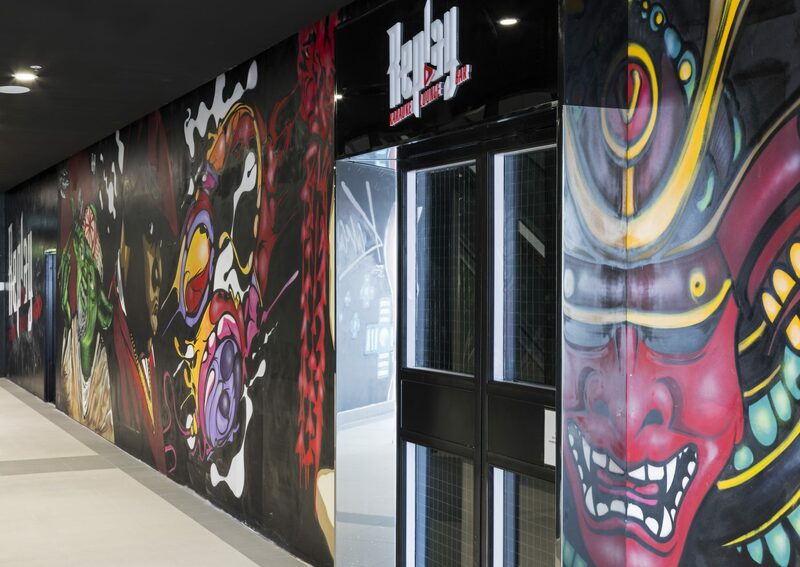 The brand identity was inspired by manga, futuristic, arcade game, tattoo, comic pop/sub culture. 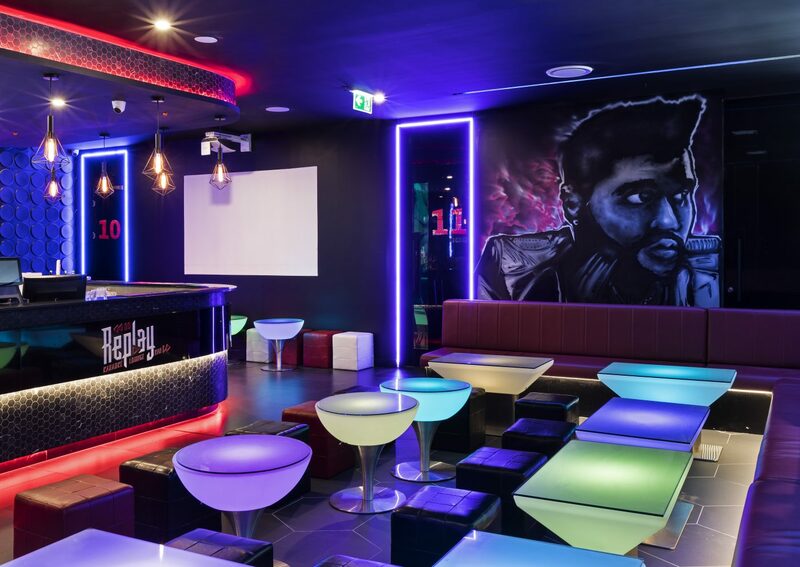 Replay Karaoke is a representation of the fantasy fun world where people escape to. 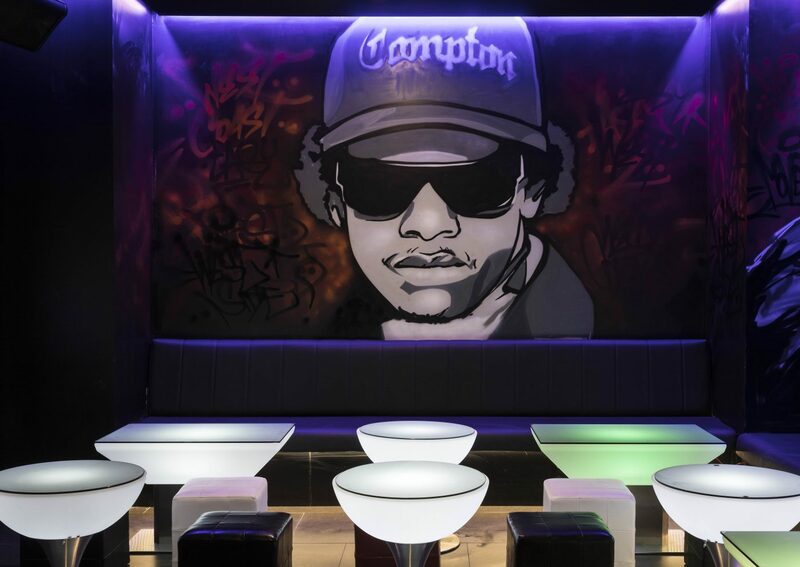 With the use of icons symbolising the word ‘replay’ in the music world, the brand is a direct reflection of its business nature. 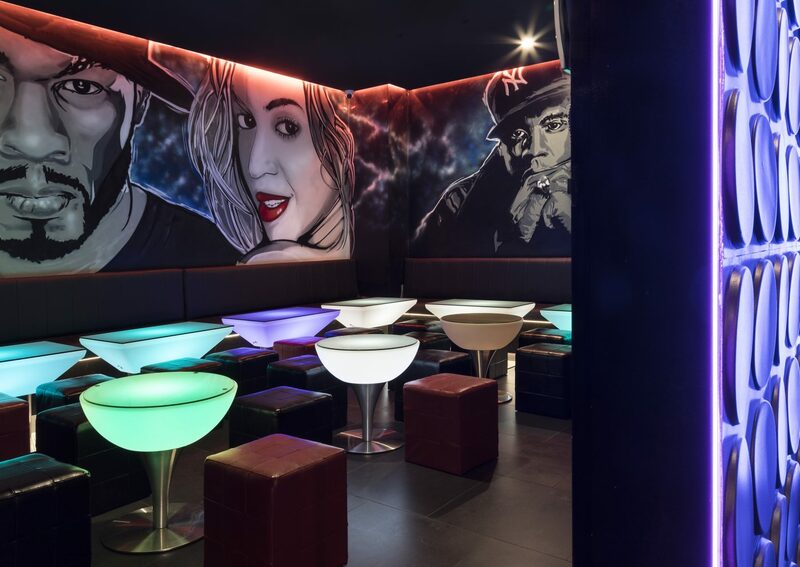 Using a sharp red and edgy font, Replay Karaoke shakes up the nightlife in Bankstown.